The Hellenic Society for Archaeometry (HSA) was founded in 1982 and is the professional body representing academics and research centers in Greece and within the Greek Archaeological Service who employ physical and earth sciences in archaeology. 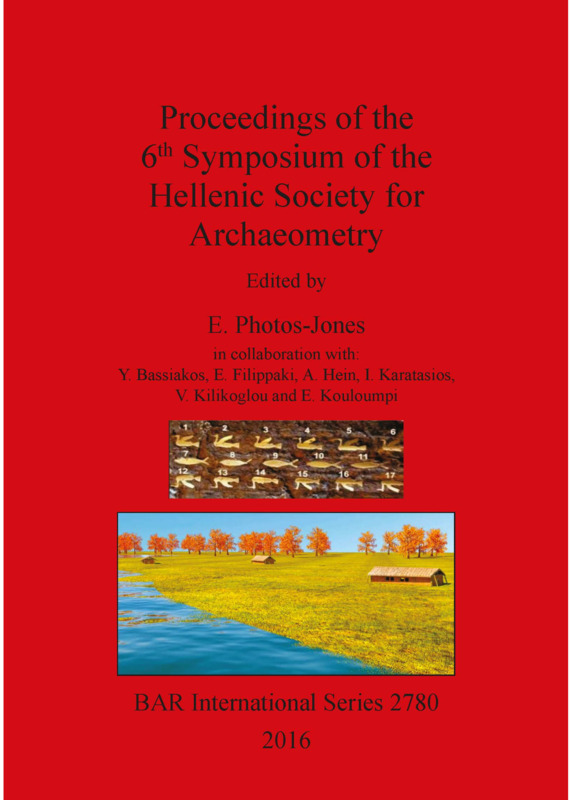 The HSA is a vibrant group of researchers who over the years have made a substantial contribution to the understanding of Greeces Cultural Heritage.The 6th Symposium of the Hellenic Society for Archaeometry (HSA) took place in May 2013, at the Acropolis Museum in Athens. The HSA Symposium proceedings are aimed particularly at young researchers working on Greek materials and landscapes as a venue for presenting their work. This volume comprising thirty-two papers is divided in two parts: the first deals with materials (ceramics, glass, metal, paintings, paper) and the second with the landscape and its multifaceted aspects (dating, prospection, visualisation). Within each section issues of conservation, dating, and computer applications are interwoven together with aspects of intangible heritage. Effie Photos-Jones is an archaeological scientist based at Glasgow University, where she is an honorary fellow in the Archaeology Department. An archaeometallurgist by training, she runs Analytical Services for Art and Archaeology (Ltd), working with archaeologists in Scotland and beyond. She founded Potingair Press, which currently has a series in Early Materials and Practices. Her research interests lie now in the volcanic landscapes of the Aegean (Greece) and Tyrrhenian (Italy) Seas, investigating the medicinal and other properties of their minerals, waters and muds from antiquity to the present. She is the author of two books and numerous peer-reviewed articles.